Beautiful imitation pearl studded Flapper Girl Headband - ideal to accompany any flapper dress for a 1920s costume party to complete your look. This beautiful 1920s Flapper Girl Headband will dazzle all the party guests! 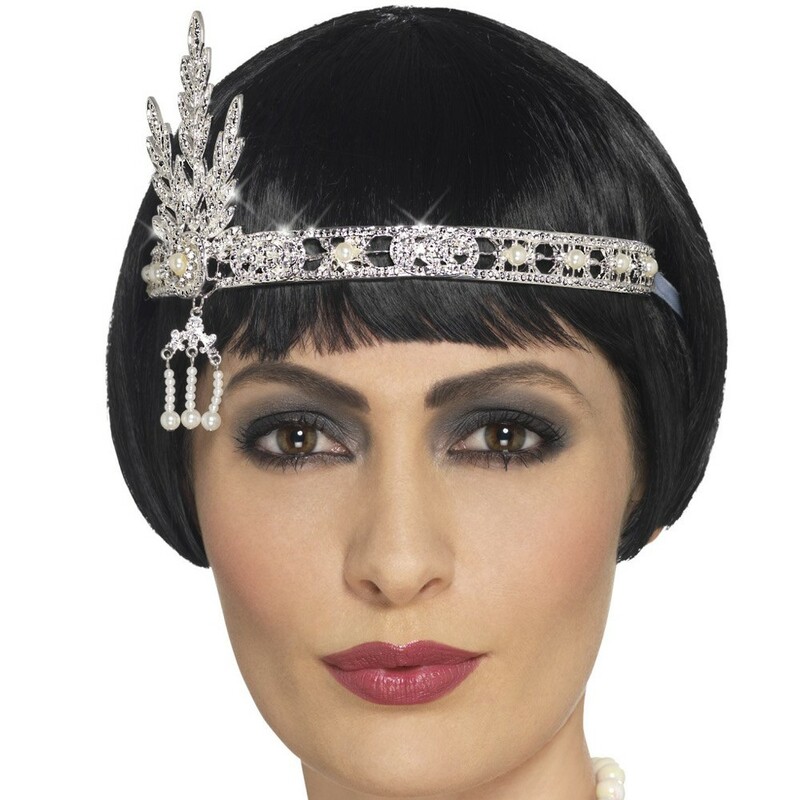 This Flapper Girl Headband is exquisite with the imitation pearl detailing. If you wear this Flapper Girl Headband you will certainly sparkle and stand out from the crowd. Add the perfect finishing touch to your 1920s costume with this extravagant Flapper Girl Headband that has ribbon attached so you can securely tie it around your head.